Dr. Eleanor Williams has received the Biocuration Career Award in 2018 from the International Society for Biocuration. Dr. Williams has worked as a data annotator for Open Microscopy Enviroment’s Image Data Resource (IDR) since 2015. This award is in recognition of the work she undertook on the BBSRC funded Euro-Bioimaging funded IDR project as well as previous work at the European Bioinformatics Institute (EMBL-EBI). Dr. Williams key role in this project has involved developing the metadata curation and handling pipelines used for handling many hundreds of Mbytes of submitted metadata. The result of her and the IDR team’s work was published in Nature Methods in 2017 and is the foundation for several new projects using IDR for cloud computing and the further development of scientific image databases. 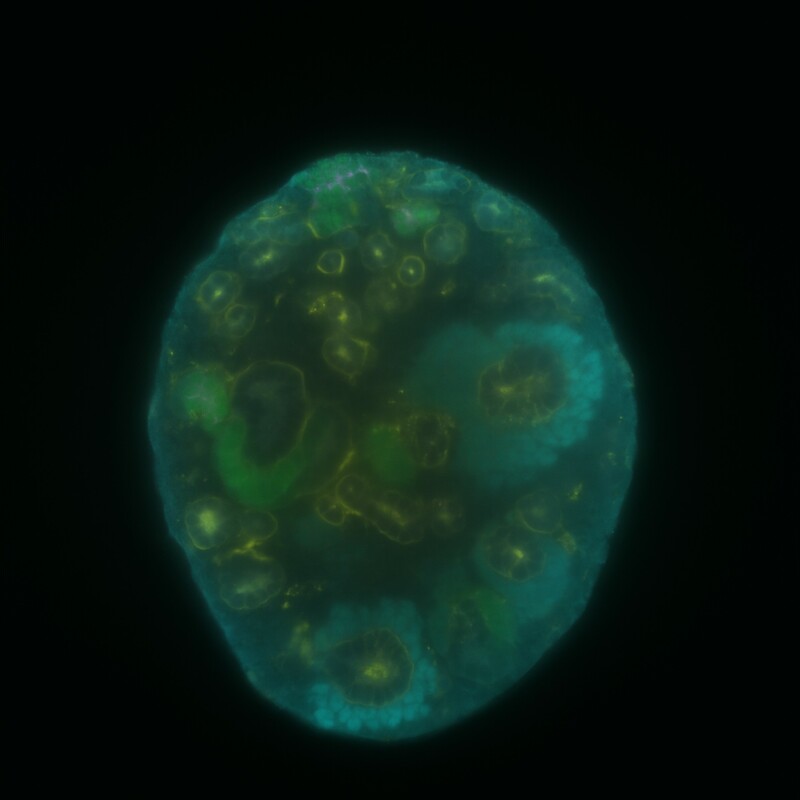 Image: Mouse dissociated embryonic kidney cells reforming into a kidney organoid.